This is Ian's and my eleventh year following the Oscar-nominated animated shorts. 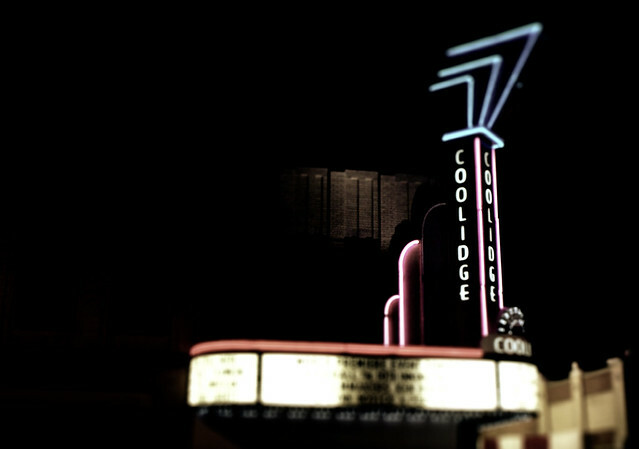 Between work travel and projects, a month of sickness, and the added complication of needing a babysitter, Ian and I once again were unable to make it to the Coolidge before the awards show. We're bummed to miss out on the highly commended shorts (Wishing Box and Tweet Tweet both look really good), but we're thankful we were able to catch all the nominees, courtesy iTunes and our personal Pixar collection. This year is an impressive lineup, which makes breaking our current losing streak a challenge (our prediction record is now 3 for 8, counting just the years we've seen all the animated shorts). I was so honored Dane asked Emily and I to give eulogies for Micki, alongside him, Ian, and Ren. The following is what I shared at the services in Lafayette, CO, and Goodland, KS. I have had the privilege of knowing Micki for 14 years, and calling her my mother-in-law for 11. But more than that, she became my second mom, and one of my greatest friends. When what to their wondering eyes should appear, but a prompt Christmas letter and one crying toddler! (Don’t worry. Ian and Anna rescued Lucy from the clutches of that red-suited terror moments after the photo.) Yes, it’s a Christmas miracle: the Scherling family’s annual awkward, third-person Christmas letter has arrived in inboxes around the world before December 25! 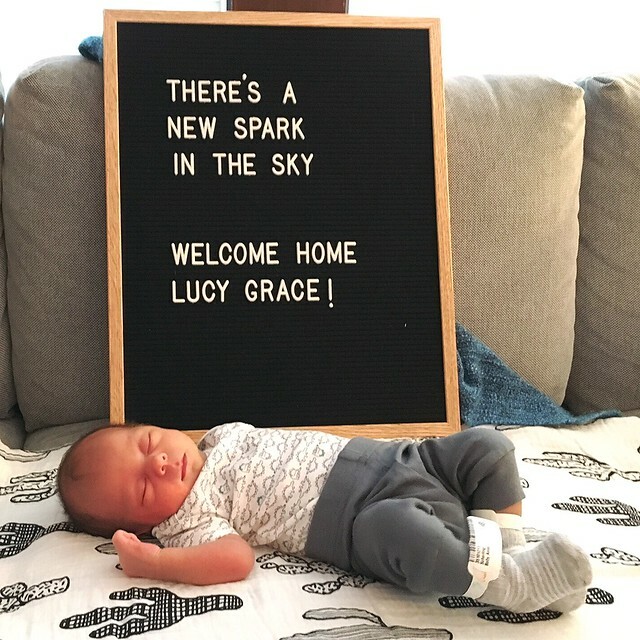 I went into labor a year ago today, which feels like an appropriate time to finally share Lucy's birth story. 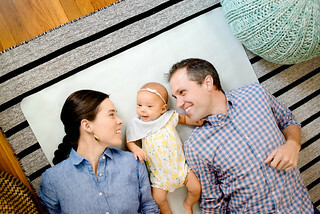 It was a bumpy entry into parenthood, but it reminds me I am stronger than I think, Ian is my rock, Lucy is incredible, and God is in control. My pregnancy started out textbook. The biggest hiccup was needing a second take on our 18-week ultrasound (which resulted in our first parenting lessons: dealing with fear and accepting our lack of control; we also remembered why it's never a good idea to Google anything medical—our doctor suggested sticking with the Mayo Clinic). Things continued along swimmingly until April 7, when I went in for a growth check ultrasound. I was measuring a little small at my previous appointment and the doctor wanted to confirm the baby was still on track. The baby's size was fine, but the ultrasound revealed an umbilical cord cyst. The ultrasound doctor assured me it wasn't a problem, but we should monitor it to make sure it didn't become one. I drove to my prenatal appointment with the news, but my doctor immediately sent me to the Brigham for high blood pressure. This was the first appointment where I was flying solo and, already stressed, I had to drive down Route 9 to Fenway. I called Ian to meet me at the hospital, and spent the afternoon hooked up to monitors. The baby's heart rate was strong, and my blood pressure was back in the high range of normal, so they sent us home with a directive to take things easy—a challenge given our not-quite-completed bathroom project. This is Ian and I's tenth year following the Oscar-nominated animated shorts. We had to improvise a bit this year, since a family vacation meant we wouldn't be able to catch them at the Coolidge before the awards show (we still plan to go, and it will be our eighth at the Coolidge). Even though we cobbled it together (thanks to Amazon, iTunes, and Netflix) I'm so glad we're still able to enjoy our longest family tradition (I can't wait until we can include Lucy!). Our prediction record is now 3 for 7, counting just the years we've seen all the animated shorts. Fingers crossed we can bump up our batting average this year. The images and words presented here are our own property unless otherwise noted. Please contact us for permission before using any content you find here. Thank you for your respect. © 2004-2018 Ian + Anna Scherling. all rights reserved. template customized by studio-s. Simple theme. Powered by Blogger.